St Patrick is the patron saint of Ireland and the national feast day of St Patrick is celebrated in Ireland and worldwide on March 17th, reputed to be the date of Patrick's death. 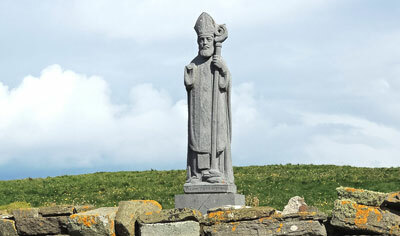 Although St Patrick was not born in Ireland, he became an integral part of the country's heritage through his service in Ireland in the 5th century. Historically, much of the factual information about him has become interspersed with tales and legends, making it a little difficult to differentiate between the two sometimes! Patrick was born in Britain, near the end of the fourth century, in either Scotland or Wales, depending on different versions of the story. He was captured as a boy and taken to Ireland where he spent six years in slavery, herding sheep. 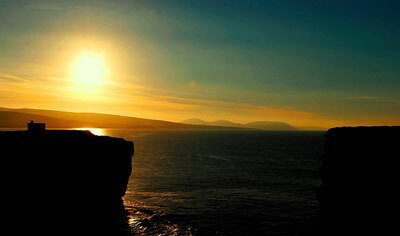 According to his writing, God spoke to him in a dream, telling him it was time to leave Ireland. He escaped and returned to Britain, where he began religious training, which lasted more than fifteen years. 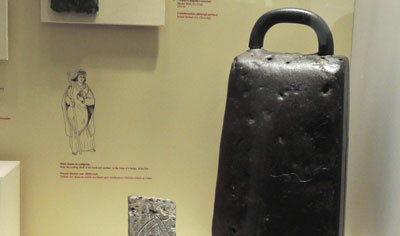 He then returned to Ireland in his 30s as a missionary and introduced Christianity to the Celtic pagans in the country. 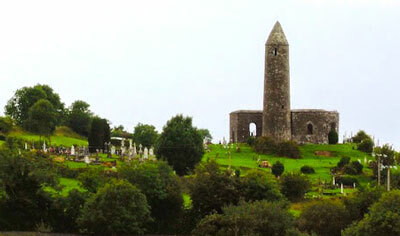 Already familiar with the Irish language and culture, Patrick incorporated traditional ritual into his lessons of Christianity to reinforce his message to the Irish people. Legend has it that he used bonfires to celebrate Easter since the Irish were used to honoring their gods with fire, and that he used the native shamrock as a symbol of the Holy Trinity when preaching. St Patrick is credited with driving the snakes out of Ireland, although evidence suggests post-glacial Ireland never had any snakes in the first place! Celebrated as both a liturgical and non-liturgical holiday in many corners of the globe, for many people it is really a celebration of Ireland itself. Almost every small town and village in Ireland celebrates March 17th with parades, music, marching bands and festival floats. Dublin and the other Irish cities have parades that attract thousands of people from every corner of the globe. For examples of St Patrick's Day parades in a small Irish town visit the Claremorris photo gallery. Approximately 34 million Americans claim Irish ancestry and St Patrick's Day was first celebrated in Boston, Massachusetts, in 1737. The biggest St Patrick's Day parade is normally held in New York, while the largest celebration in the southern hemisphere is in Sydney, Australia. Wearing green, eating green food and even drinking green beer is synonymous with March 17th and the age old tradition of 'drowning the shamrock' is a sentiment recognised worldwide. This custom is believed to have its origins in the practice of putting the shamrock, that had been worn on a lapel or hat, into the last drink of the evening ... whether that came about by accident or design is not quite clear! 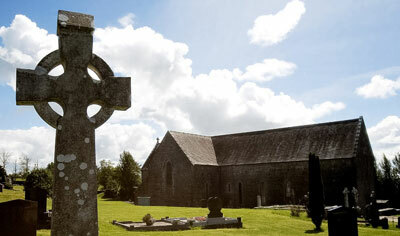 There are countless shrines in many parts of the world in honour of St Patrick and every year on St Patrick's Day these shrines give Irish ex-pats the opportunity to celebrate their religion, culture and heritage, as they would be able to celebrate them at home in Ireland. 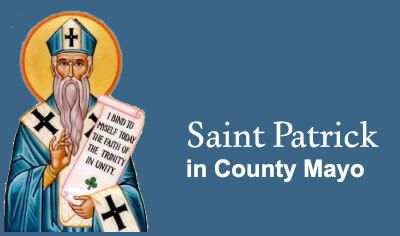 One such shrine is the Shrine of St Patrick in Missouri, USA, dedicated March 17, 1957. It is fashioned after St Patrick's Memorial Church of the Four Masters in Donegal, and its windows were designed from the Book of Kells. 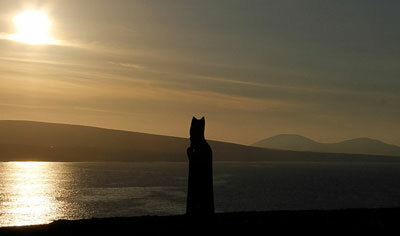 Croagh Patrick, near Westport in County Mayo, is often referred to as Ireland's 'holy mountain'. An annual pilgrimage takes place here every year on the last Sunday in July, when thousands of pilgrims make the onerous ascent of this steep mountain. 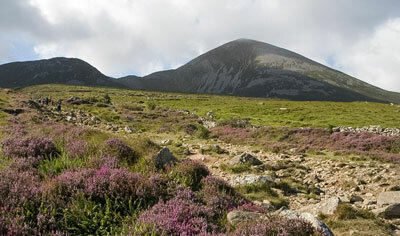 Read this brilliant account of a Croagh Patrick climb written by Jim Burns, Quincy, IL, USA. 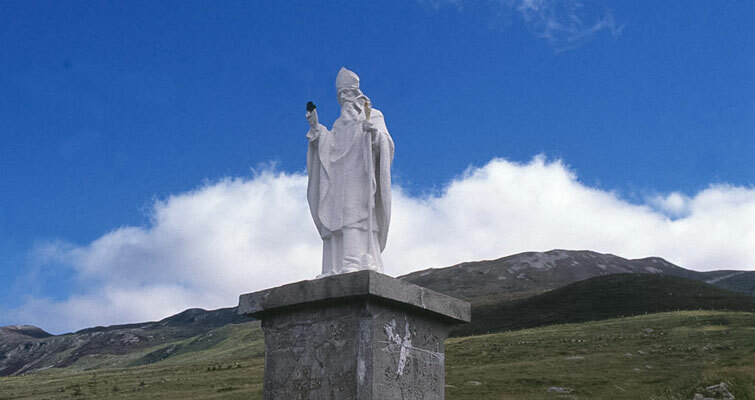 Patrick, also known as the "Apostle of Ireland”, has many connections with County Mayo in form of dedications, place names or facts interspersed with tales and legends. The story of “Patrick’s Land in Connaught” can be found in the ecclesiastical annals of the country and the Papal Registers, it is no a myth. Here are some traces Patrick left in County Mayo.